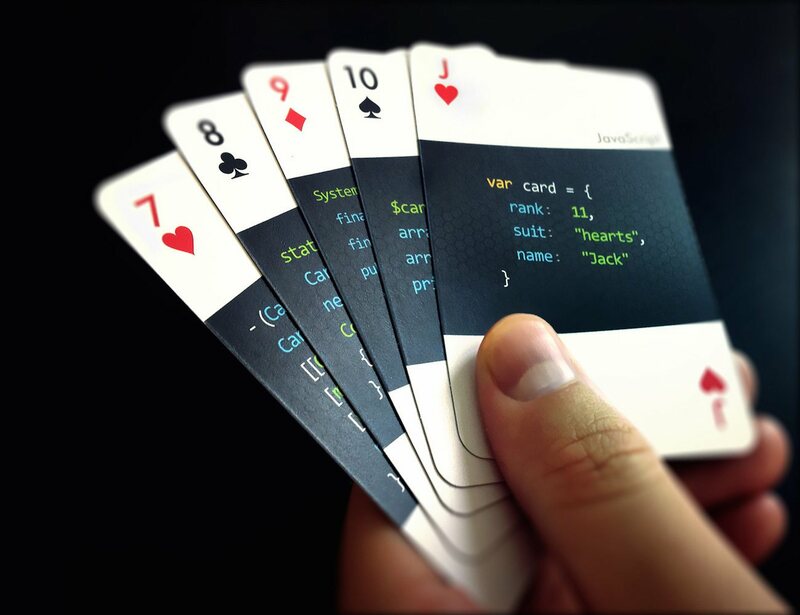 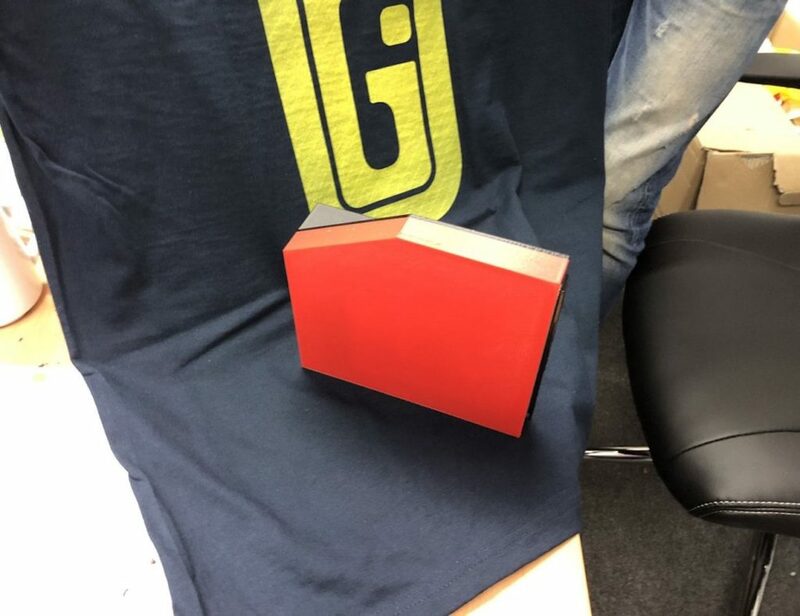 If you are a programmer, QA or student in IT that loves playing card games then code:deck is for you! 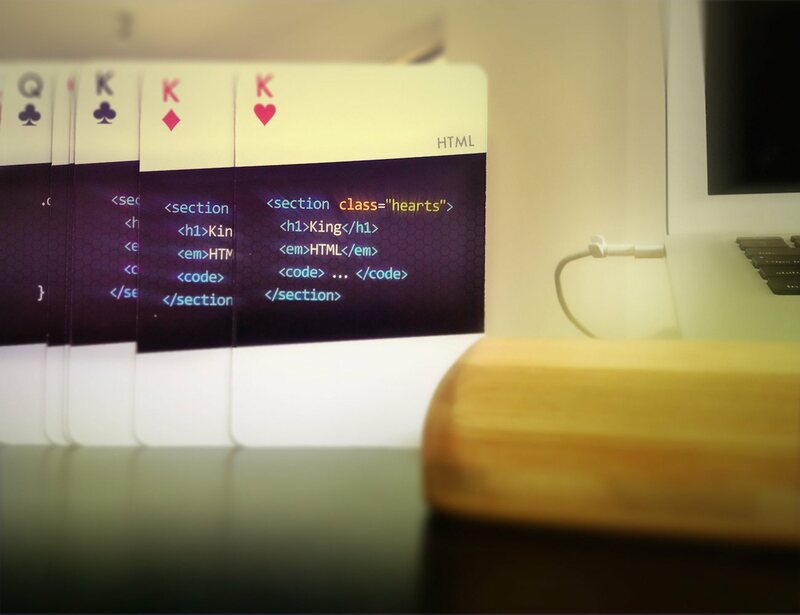 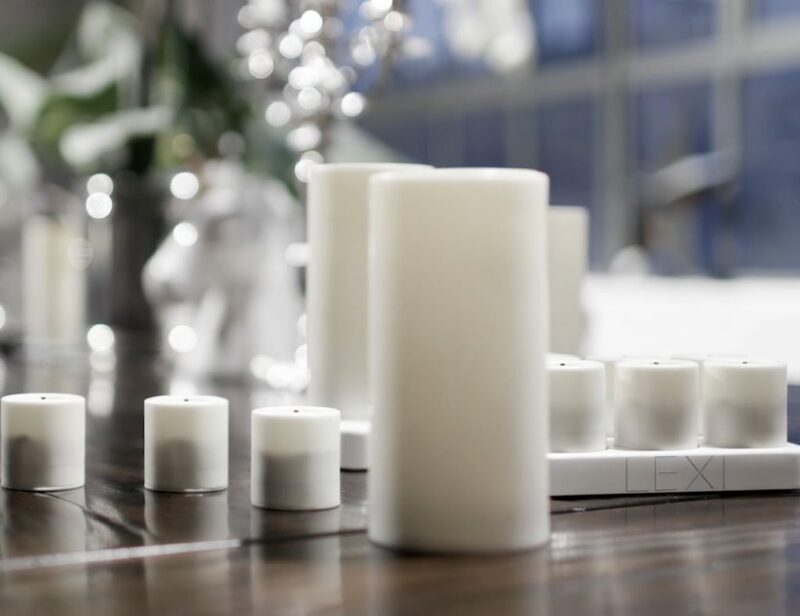 code:deck is a standard playing card deck sporting a stylish modern design. 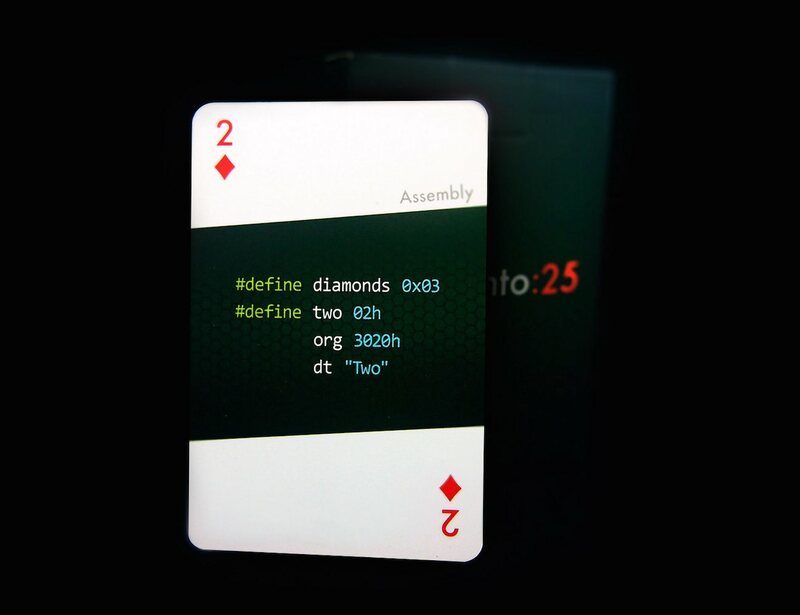 Each individual card features a code excerpt describing its rank and suit in one of many programming languages. 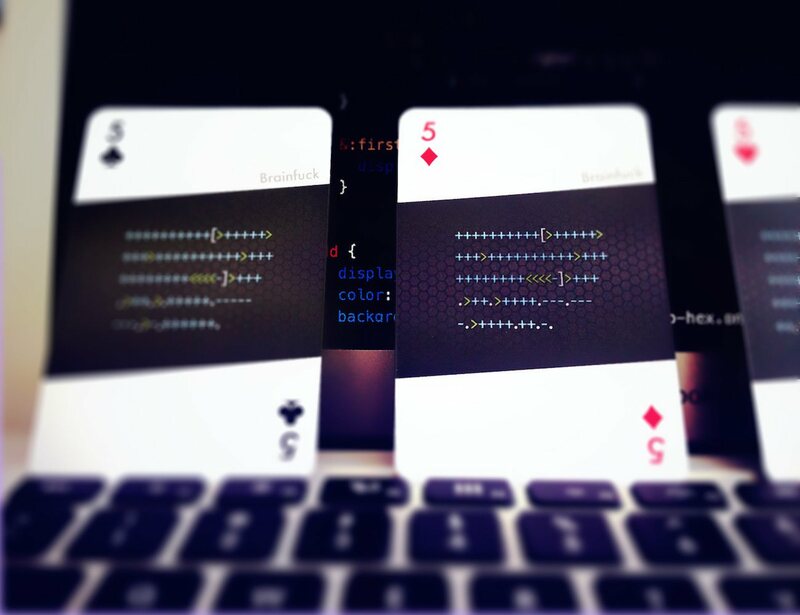 code:deck contains a wide selection of programming languages – from generally acknowledged staples and utility languages in software development to newer alternatives and weird curiosities!